Morena Hernandez born on April 27, 1960 in Sonsonate, El Salvador. 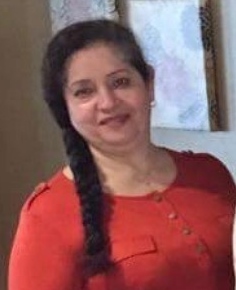 Morena entered into rest on February 9, 2019 in Garland, Texas. She is survived by her loving mother Juana; sons Jaime, Raul and Jorge; daughter Juana. She is also survived by 19 grandchildren and 6 great grandchildren; brothers Aurelio, Raul and Efrain; sisters Isabel, Ofelia, Evelia and Valeria. She is preceded in death by her daughter Sylvia. Morena's final resting place will be Crown Hill Memorial Park in Dallas, Texas.